This is the fourth article in an ongoing series that will be provided by Prince George’s Suite Magazine and Media as this development continues to evolve. Watch this space. Fueled by the developing fiscal challenges arising for small businesses in Prince George’s as a result of the partial government shutdown, small and local business owners gathered at the Prince George’s Chamber of Commerce Jan 17 at Largo’s DoubleTree Hotel. Entitled, “A Business Town Hall on the Federal Shutdown,” it didn’t take long for Chamber of Commerce President & CEO David Harrington to get consensus on one key point just after introducing guests Senators Chris Van Hollen and Ben Cardin: demand that (Senate Majority Leader) Mitch McConnell allow the vote to get people back to work. “Hashtag Take The Vote Now,” Harrington lobbied the leaders in the room. “That’s what we need. That’s how we will help you move forward,” he said looking toward Cardin and Van Hollen. Sen. Cardin jumped directly in. “There is one person and one person only who is responsible for this shutdown and that is the President of the United States,” Cardin said to nearly 150 business and organization leaders. The two statesmen shared updates on the status of the stalemate while county business leaders offered comments and questions about the ongoing impact of the shutdown. Sen. Chris Van Hollen followed Cardin, his senior colleague, and began his remarks saying that the circumstances of the visit to the fast growing county are unusual and unfortunate. “Normally, we would be talking about those important federal investments, but here we are talking about a shameful unnecessary government shutdown and it’s mushrooming. The impacts are harmful and growing,” he said. One of the most critical questions had to do with negative credit ratings as a result of slow payments caused by the shutdown. Van Hollen said that although regulations around circumstances like that have been relaxed since the Trump Administration came to office, efforts were being made to reach out to banking industry leaders to restrain from derailing the credit ratings of people and small businesses during this period. 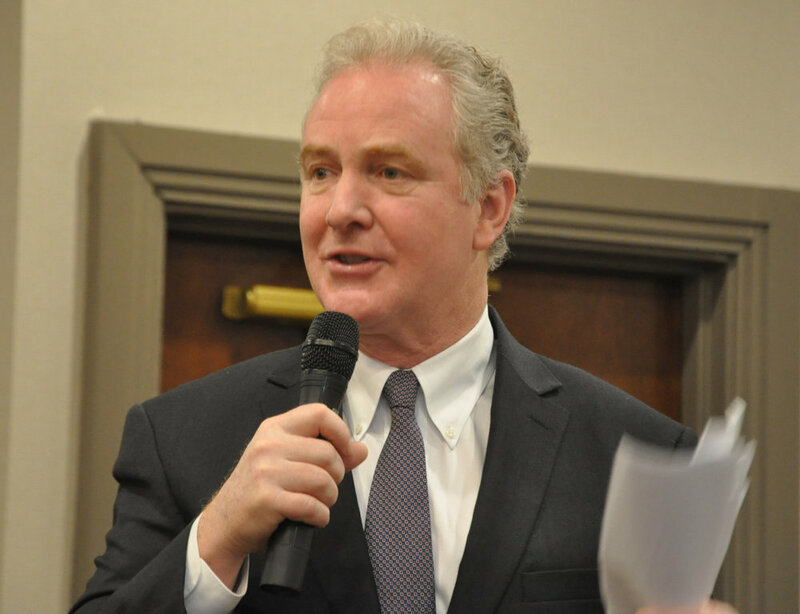 Van Hollen is working on legislation to make sure that people will not have their credit scores downgraded due to the shutdown. It still has to go through the process, however. 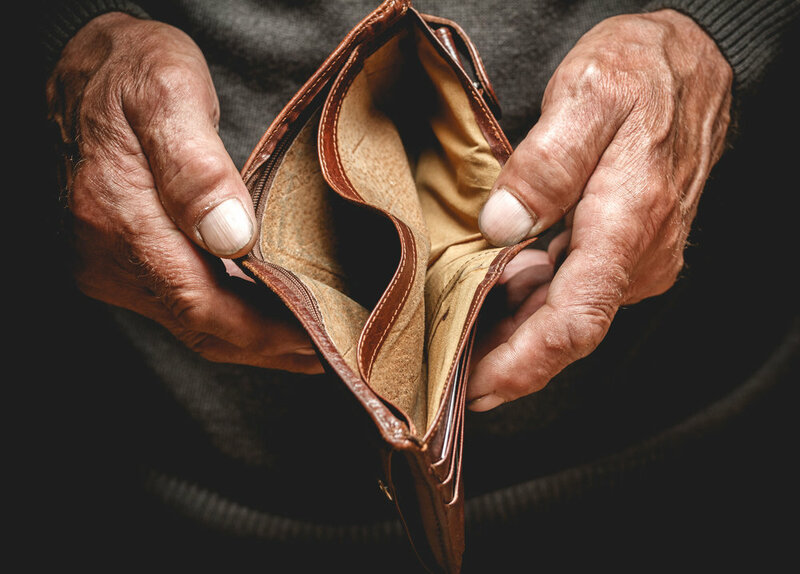 A number of banking professionals present provided options aimed at helping to hold harmless people and businesses that are swept under the negative cash flow wave caused by the shutdown period. “We need to work with other members and the utility companies to assure that they work with people. The Alsobrooks administration is currently working with several utility companies, schools and more to address that concern. Click here for more information. *This story contains resource and support information and is updated regularly.